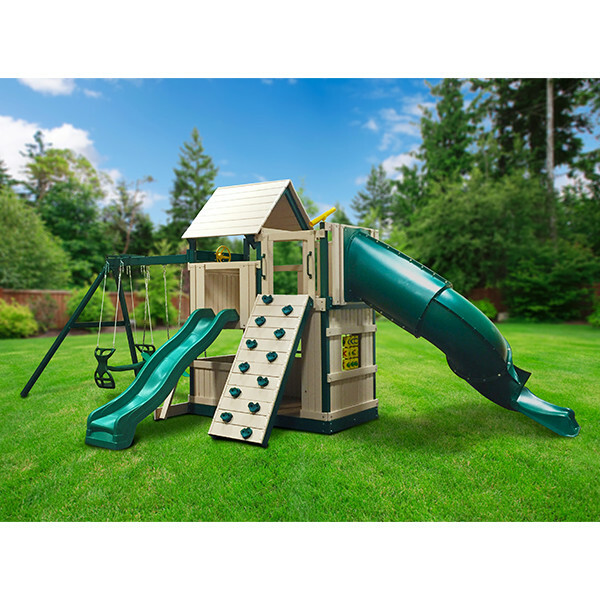 Your kids will be having fun and staying active all day long with this wooden playset in their backyard. 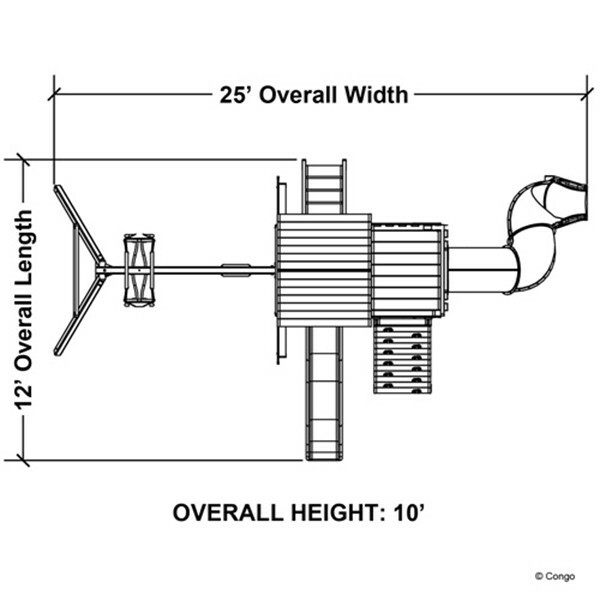 The Congo Explorer Treehouse Climber is loaded with all of the great features that kids of all ages love including a tunnel twister slide, a wave slide, trapeze bar, and a glider. 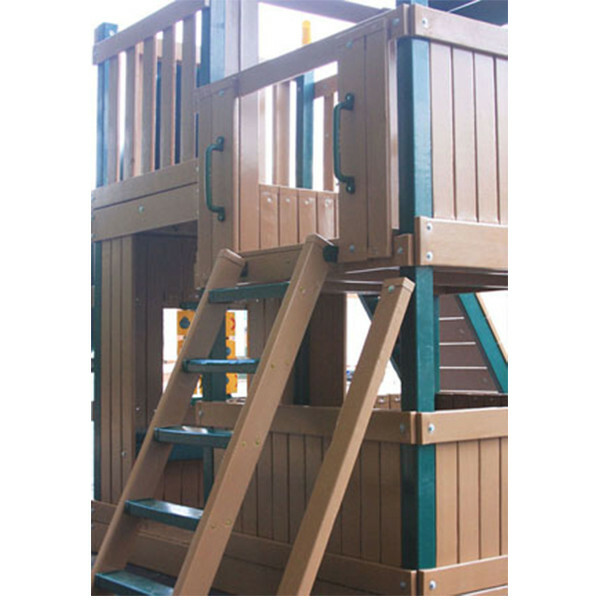 They can climb the rock wall or ladder to the enclosed play fort or the open sun deck and explore their imaginations using the telescope and steering wheel. 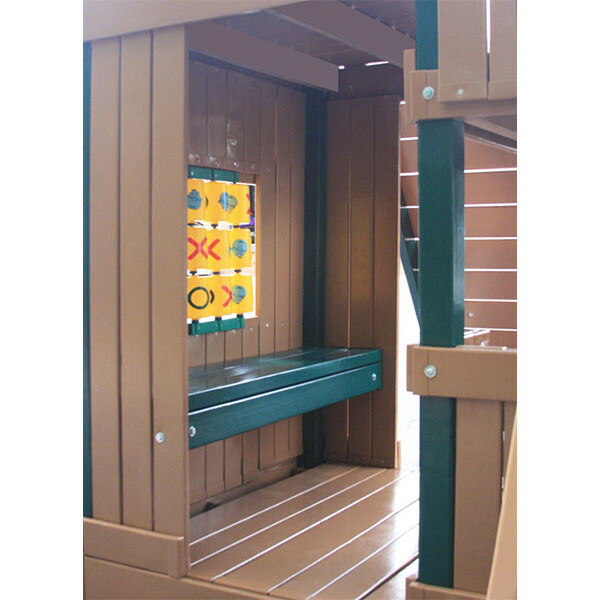 If they love games they'll be able to challenge each other to a few rounds of Tic-Tac-Toe. 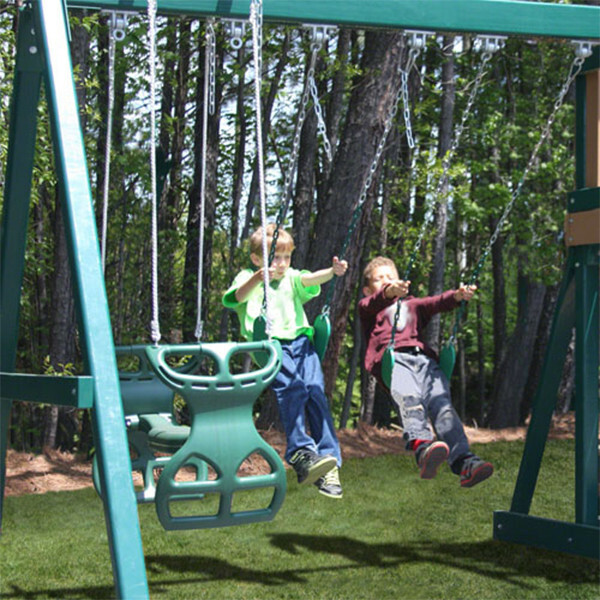 All of these great features come wrapped up in a ready to assemble swing set that is constructed of durable lumber and quality parts. 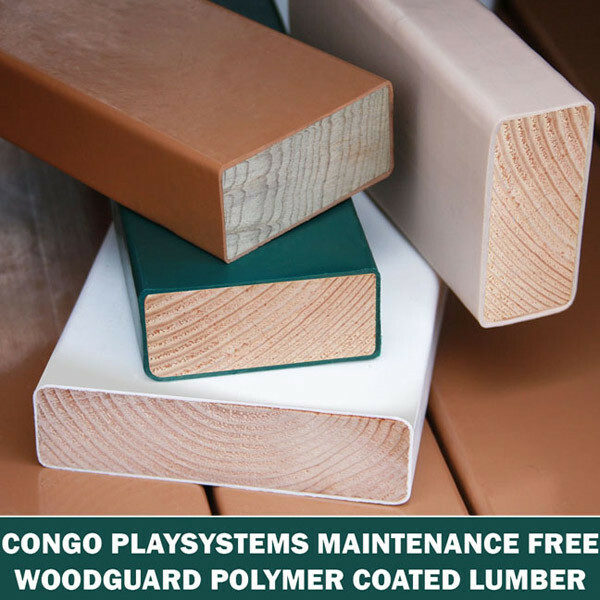 All of the lumber comes pre-cut and pre-drilled and is covered with a recycled plastic polymer coating. 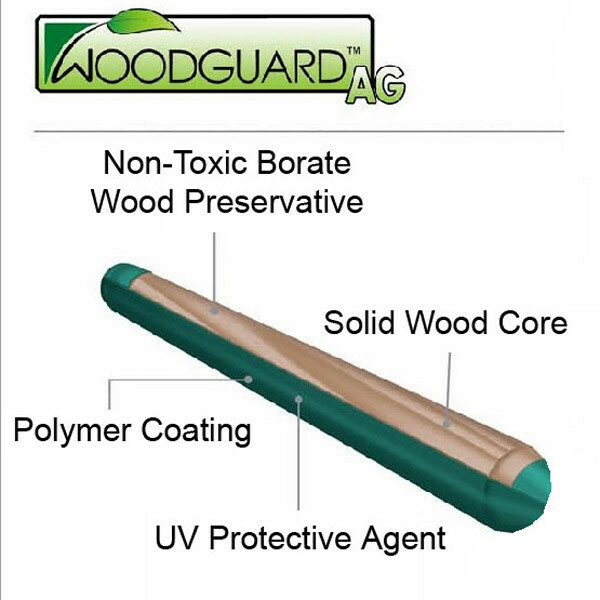 This coating is virtually maintenance free and will not splinter. 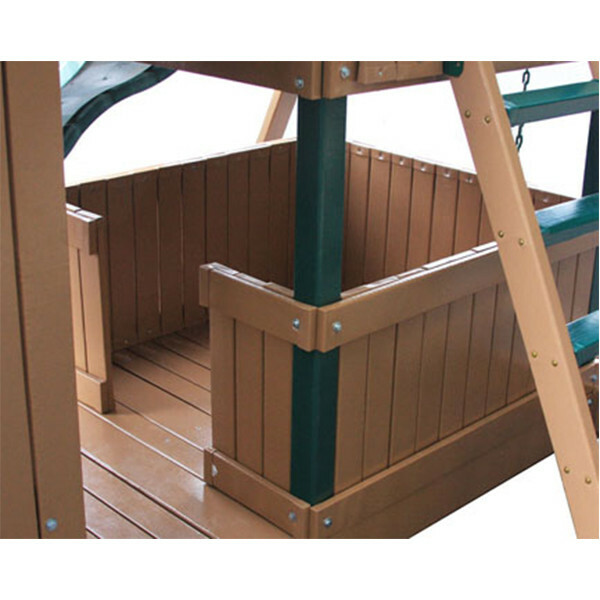 It requires no painting, staining, or refinishing. 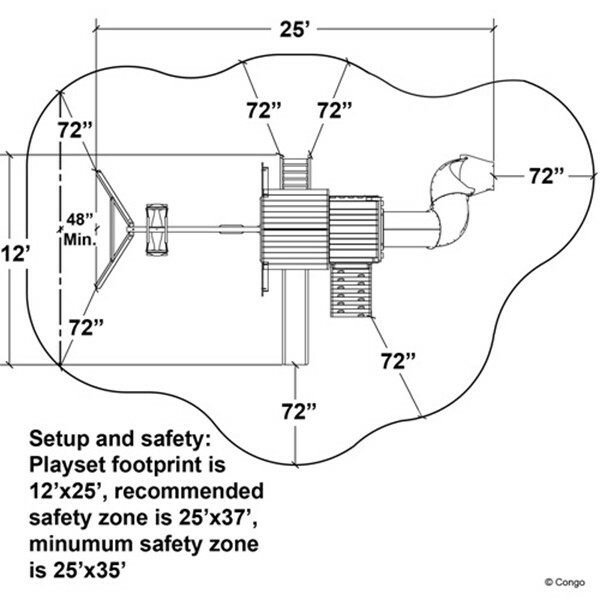 The Explorer Treehouse Climber meets or exceeds safety standards and comes with step by step instructions for ease of assembly.